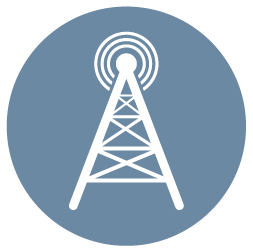 While delivering reliable voice and data services is largely a technical operation, the business value that lurks in your telecommunications network offering is not an obvious one. How will your customer derive more benefit by being on a 4G network. What actually is a TBPS and how much business value to I derive with wider bandwidth? What does 99.95% uptime mean and how does it translate to the bottomline to your client? What are the benefits of client virtualization and how do you look after their privacy and security concerns? Bringing out the value on all the operational robustness and technical innovation you bring to the table is exactly where Frame Concepts can help the Telecommunications industry with its visual marketing. Small Operational Improvements have a Big Impact – You put a lot of time, investment and resources in improve service delivery, you want your audience to sense the value in a decimal point. You Operated in an Ecosystem – Your value lies in how you play with devices and geographical concerns and regulatory bodies and you need your marketplace to visualize how you excel in that department. 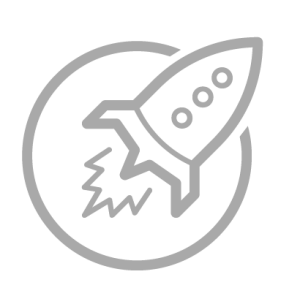 Delivering on the Excitement of New Capabilities – While the road to delivery might be technically dense, you want your marketplace to be excited about the new delivered value they will receive. Alaska Communications had laid cable in a 700 square mile radius connecting Alaska to Oregon (AKORN project) on one of the seismically active ocean floors in the world – all of this to deliver new 4G feature and large bandwidth capabilities to its Alaskan customers. 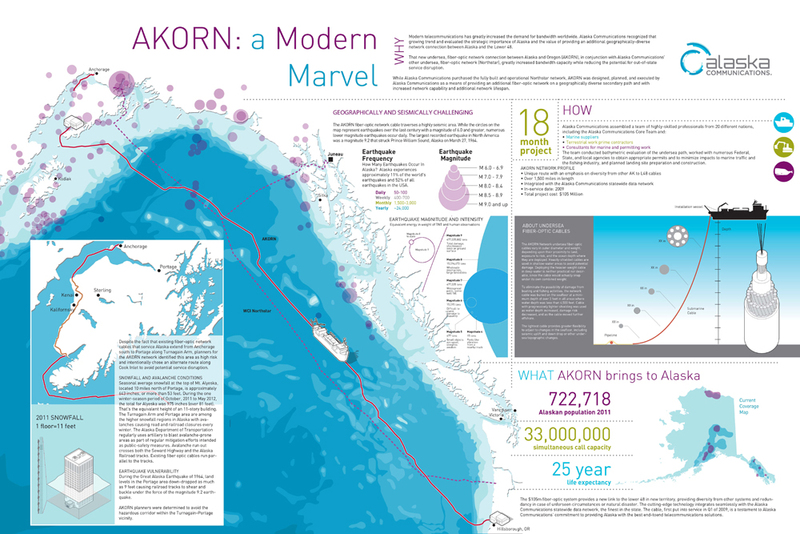 To help showcase this impressive feat and what it means to their customers, Frame Concepts created a large posted and then an interactive version so its audience could explore the project and appreciate its significance. 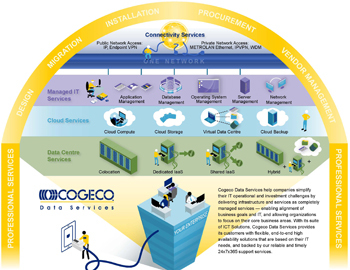 Cogeco had been busy refining and expanding it new Business Data Services offering and wanted to make sure the benefits it will delivering on launch would not be lost on its customer base and potentially new customers. Frame Concepts developed a pictogram and an interactive version to showcase the value. 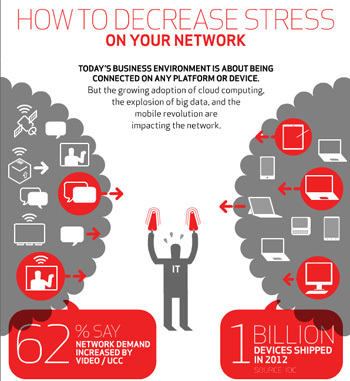 The impact with big data, cloud offerings and proliferation of devices is dealt with Verizon’s Intelligent Networking as showcased in this clever interactive infographic rich media unit.